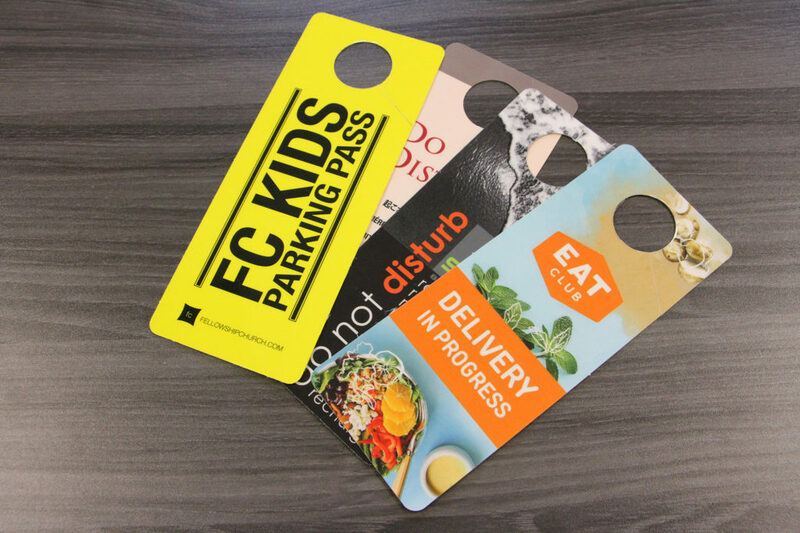 Whether you want to market your business locally or communicate hotel amenities to your guests, custom plastic door hangers are the perfect solution. Durable, waterproof and fully customizable, these products make it easy to promote services, share information and build your brand. 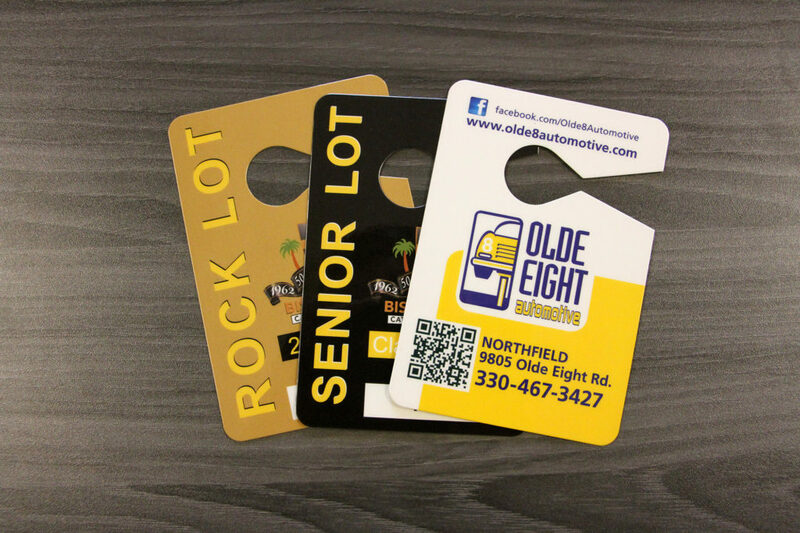 We can customize hangers for many purposes — whether you need plastic door hangers to place on prospects’ homes, rear-view mirror hangers to use as parking permits, or a low-cost way to disseminate information to specific neighborhoods or communities. The beauty of a customized door hanger or mirror hanger is that it’s a simple way to display your message wherever you want it. Even better, all our plastic products at Suncoast Identification Solutions are manufactured to be durable and weatherproof. They’re able to withstand spills, tears and all the challenges of ongoing use. You can choose either a 20- or 30-mil thickness, whether you’re ordering door, shower or mirror hangers. When you’re looking for an effective, convenient, cost-effective way to communicate with prospects, customers and colleagues, custom plastic door hangers are always a smart choice. After more than 20 years in business, Suncoast Identification Solutions has proudly established itself as a leader in plastic printing and manufacturing. Our plastic door hangers feature a water-resistant polyester core topped with a durable and high-gloss laminate that protects against cracks, spills and peeling. We not only offer a full line of custom door hangers in standard sizes, but also can create hangers in any shape you want. Working with us gives you access to a dedicated team of graphic artists who will craft a unique and eye-catching design to your specifications. We also boast one of the fastest turnaround times in the industry, which means you’ll get what you what you need, when you need it. Whether you order 250 hangers or 10,000, our experts will ensure the finished product is exactly what you expect. When you order from us, you can be confident you’ll receive quality, custom hangers tailored to you. Get a quote on a custom plastic door or mirror hanger today!